The off-season is here for many meaning it’s the perfect time of year to evaluate what you need to work on to improve your golf game. From what I can see, more people are realising the critical role physical attributes play in the ability to make high quality golf swings. 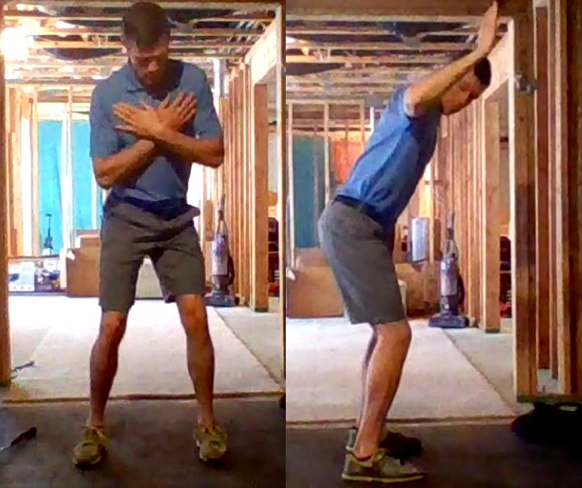 As a result more golfers are exercising in an effort to gain or regain yards, help improve their mechanics, improve their energy, or rehab some old nagging injury. Now that I have a small following online and access to infinitely more golfers, I thought it would be very interesting to run a similar project, but over a much longer time frame. This got the ball rolling for the “Fit For Golf 12 Month Project”. I sent out some feelers on social media to try and recruit a small group of golfers who I would work with strictly in an online capacity for 12 months, and document the changes in their launch monitor numbers, and their improvements in various elements of physical qualities desirable for high quality golf swings after 3,6,9, and 12 months. The golfers committed to hitting practice balls at least twice per week, playing at least once per week if weather permitted, and getting a lesson from a golf instructor once per month. 45-60 minutes three times per week in a gym/home gym was the minimum commitment to enable following the programs I would provide. Obviously this is not a scientific study, it’s too hard to control all of the variables, but I still think it’s an interesting case study. Three golfers responded who were able to meet all the criteria. 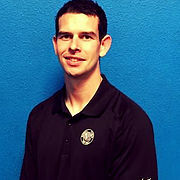 After getting their background information, golf handicap, previous training, injuries, and goals etc. I set up a Skype call with each of the three players, as is customary with all of my online training clients. 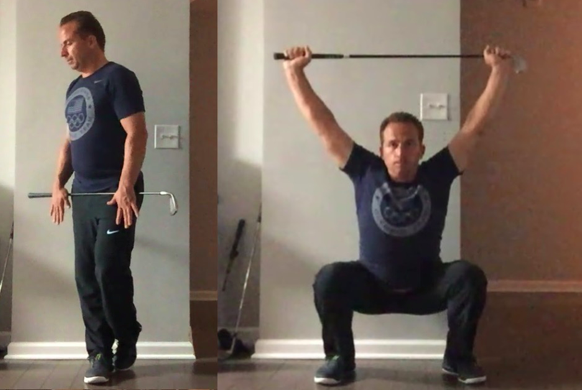 During the Skype call we went through the TPI screening process, and I asked them to perform some other exercises based on what further information I wanted to gather. After this, a results summary and one month program was sent to each golfer. The new TPI mobile app was a complete game changer for how quickly, thorough, and well presented the feedback for the golfer was able to be delivered. The combination of subjective information which I gathered from the physical assessment over Skype, and objective information from the launch monitor details gave us our baseline. The new TPI app provides instant information in an excellent presentation which is of great value for players, and coaches. All golfers were designed a training program delivered through my app which had 3 main workouts per week, focusing on mastering some of the fundamental movements I try to help golfers become proficient at. 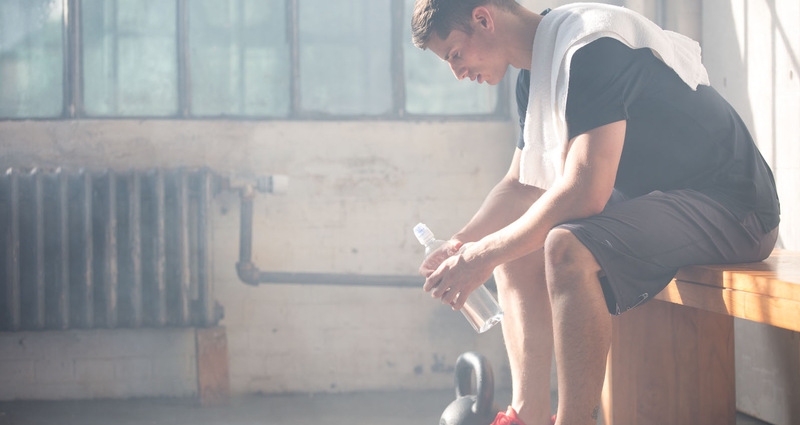 These workouts takes approximately 45 minutes. Each golfer also received an individualised “mini” workout to do daily which was more specifically designed around the areas they were most deficient in during the screen. These are things I think should become part of their daily routine, aren’t very taxing in terms of energy or recovery time, and respond well to high frequency work. Wes / Golfer 1 received a lot of ankle mobility & ankle strength work as this will be important for withstanding some of the more advanced exercises that come in later months.In initial testing his right ankle was very restricted and unstable due to sustaining serious ligament damage in 2015. With the trail leg being loaded heavily in the backswing during faster swings, I feel it's important there aren't any mobility or strength issues in the ankle of this leg. I can't see a weak or immobile ankle being very desirable when trying to create high ground forces. Wes performing the squat (left), and toe touch (right). Both of these were limited, especially the squat, mainly due to the right ankle. These should progress quickly however. Wes already has a near PGA tour average CHS of 111mph. He could be very long in the coming months. Ricardo was a little limited in his rotational screens (left), but had great mobility in the vertical screens (right). Dave / Golfer 3 is having issues with his sequencing in the downswing, robbing him of a lot of power and speed he already has. 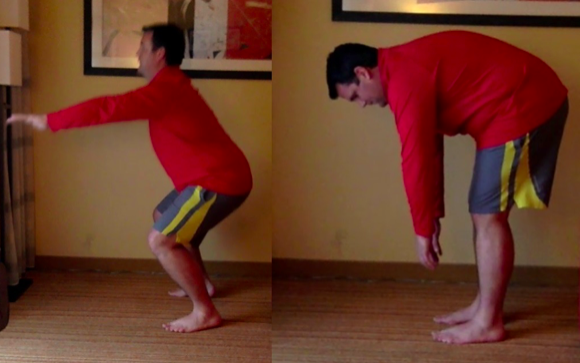 Some simple exercises to improve his ability to separate his hips and torso in transition, and improve his mobility and strength in this position were prescribed. Very interestingly, the first time Dave hit balls after experimenting with the “feels” from the exercises prescribed his average driver club head speed increased from 83.7mph to 93.3mph, and after 3 couple of weeks was swinging over 103mph. An increase of 19mph in less than a month. Dave was surprised with how difficult the coordination of the separation screens were (left), and was also lacking some range of motion in his right shoulder external rotation (right). The golfers are currently beginning month 2 of their training so things are just getting started. After month 3 there will be a review of the launch monitor numbers, at which point I will write part 2 of this series and provide the progress report on both these numbers, and what has changed in their training programs.